Leafy greens are nutritional powerhouses, packed with Vitamins and antioxidants. They are anti inflammatory and anti cancer. Consume 3-4 servings of leafy greens daily. Kale is a leafy green that is high in nutrients and low in calories. It comes in a number of varieties including Curly kale, which has an earthy flavor, Dinosaur (Lactino or Tuscan) kale, which has blue green leaves and has a sweeter more delicate flavor and Ornamental kale, otherwise known as salad savoy, which is very tender and has a more mellow flavor. Kale can be eaten raw in salad, steamed, which maximizes it's nutritional value or baked, as in kale chips. Kale is anti inflammatory, has anti oxidants and is anti cancer. It is full of B vitamins and omega 3s, fiber, calcium, magnesium and potassium. Collard greens are popular in the south, but can be found in grocery stores in the north as well. They have dark blue green leaves and a mild smoky flavor. They are good steamed or in soups. 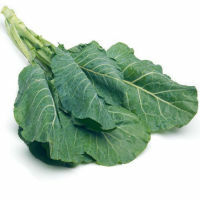 Collard green support the body's detox system and digestive system. They have anti inflammatory and anti cancer properties. They are high in vitamin K and omega 3s (specifically alpha linolenic acid) and are an excellent source or vitamin A, manganese, calcium and fiber. Turnip greens are the green stems of turnips. They are part of the cruciferous family of vegetables and are known for their bitter flavor. They are high in calcium and potassium, which supports bone and muscle health. Turnip greens have anti inflammatory properties and help detox the body. They are a good source for glucosinolate which is known for its anti cancer abilities. Turmip greens are a good source of Vitamin A, K and C. Steam them and add to soups and grain dishes. Swiss Chard is a true nutritional powerhouse. It has a strong, bitter flavor and its stalks come in a rainbow of colors. These colors make it extremely nutrient dense. In addition to the Vitamins A, K and C found in most leafy greens, Swiss Chard is a good source of carotenoids, flavonoids and betalains. These compounds are beneficial in heart, nerve, eye and pancreatic health. It specifically helps prevent diabetes. It helps pancreatic beta cells regenerate, improving insulin production, and inhibits the activity of enzymes that break carbohydrates down into simple sugars; thus maintaining steadier blood sugar levels. As it can be bitter, you should quick boil, steam or saute Swiss Chard. Of note, Swiss Chard contains oxelates which can inhibit absorption of certain minerals. Those with gallbladder or kidney issues shoudl limit consumption. Spinach is a delicate, bright leafy green with a mild flavor. It is a good source of Vitamins E. C and A and has phytonutrients. It has anti cancer and anti inflammatory properties. It specifically targets inflammation in the digestive tract and aggressive prostate cancers. Spinach is one of the greens that contains oxelates, and those with kidney or gallbladder issues should limit intake. It also contains purines and should also be avoided in those with kidney stones and gout. Boiling spinach for 1 minute will sweeten the flavor and release oxalic acid, making it healthier to consume. Mustard greens have a light peppery flavor and pack a powerful, nutrient dense punch. As with most leafy greens, they are high in antioxidants and have anti inflammatory and anti cancer properties. Cooked mustard greens help bile bind to cholesterol, detoxing the liver and lowering cholesterol. They are high in Vitamins A. K and C. Saute or steam them to retain flavor and nutritional value. Broccoli rabe, also known as rapini, is a member of the cabbage family. It produces leaves and small broccoli like flowers and can be grassy and bitter flavored. It is a good source of Vitamins A and C and folate. It is anti cancer and anti inflammatory and contains Lutein, which protects eye health. It contains powerful phytochemicals which detox the liver, rid the body of yeast, and improves insulin sensitivity. Give it a quick boil or steam or saute it with garlic and oil. Romaine and leaf lettuces are also good sources of Vitamin A, K and C and folic acid. They contain many nutrients like magnesium and potassium. They have low levels of oxelate, so are safe for those with kidney stones. They are extremely low in calories due to their high water content. Leaf lettuces are very mild in flavor and work well in salads. 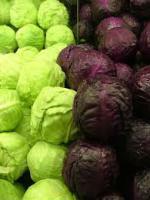 Cabbage is a thick leaved green that grows green, purple or white. It is a nutrient dense, low calorie food, high in Vitamin C, K, B6, and folate. It is an excellent source of fiber. Cabbage can help lower cholesterol and has anti cancer and anti inflammatory benefits. Purple cabbage has higher level of anthocyanins, which is anti inflammatory and nappa (savoy) has highest levels of sinigrin, which helps protect against cancer. Cabbage can be eaten raw, lightly steamed or sauteed. Try to avoid using the microwave which destroys key nutrients. 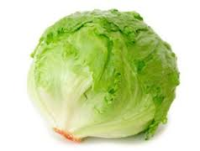 Iceberg lettuce is the most well known of the leaf lettuces. It forms tight leaves into a loose ball. It is low in calories and has a high water content. Most people think it has little in the way of nutrients, which is somewhat true. It is not as nutrient dense as dark, leafy greens, but it is a good source of Vitamin A and K. It has a mild flavor and is good to use raw in salads and on sandwiches. Endive is part of the chickory family. Escarole is the dark leafy green part, frisee is pale yellow and curly, and and endive is the pale center. It tends to have a bite and is used quite often in salad. It is high in Vitamin A and B vitamins and helps lower cholesterol. It has anti inflammatory and anti cancer benefits. It is a good source of folate. It can be eaten raw in salad or steamed. Radiccio and Chicory Greens have many of the same benefits as endive. They tend to be more bitter and are often used to counter balance the mild flavor of other greens. They are full of phytonutrients and are high in the B vitamins and Vitamin A and folate. They have anti inflammatory and anti cancer properties. They are mostly eaten raw in salads. Arugula is a bright peppery tasting leafy green. It is packed with phytonutrients and is a good source of Vitamin A, K, and C. It is also low in oxelates. Arugula is antioxidant, anti inflammatory and anti cancer. It is rich in folate and B vitamins. It is usually eaten raw in salads, but can be steamed as well. Yes, dandelion greens. Those weeds in your grass can actually be eaten or brewed in tea. They should be blanched first as they can be bitter. As with all leafy greens, they are high in Vitamin A and K and are nutrient dense. They have anti inflammatory and anti cancer benefits. They can be eaten in salads and soups or brewed in teas. 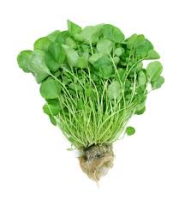 Watercress is a peppery flavored low calorie green that contains antioxidants and phytonutrients. It is nutrient dense and is high in Vitamins A, K and C. It has cardiovascular benefits and helps prevent colon and prostate cancers. It can be eaten raw in salads or on sandwhiches, steamed or in soups. Beet greens are the green tops of beets. Don't discard them. They are chock full of vitamins and minerals. They are good sources of Vitamin A, K and C, betacarotene and lutein. They contain betaine, which lowers homocysteine level, which in turn can lower the risk of heart disease, stroke and peripheral vascular disease. They are high in oxalic acid and should be eaten steamed or cooked in soups and stews.